Melissa Hege, AICP of South Florida-based Melissa Hege City Planning LLC. shares her thoughts on the Miami Design District verses Beverly Hills. Last May, on a trip to LA, I snapped a bunch of pics of my favorite neighborhoods including Beverly Hills. 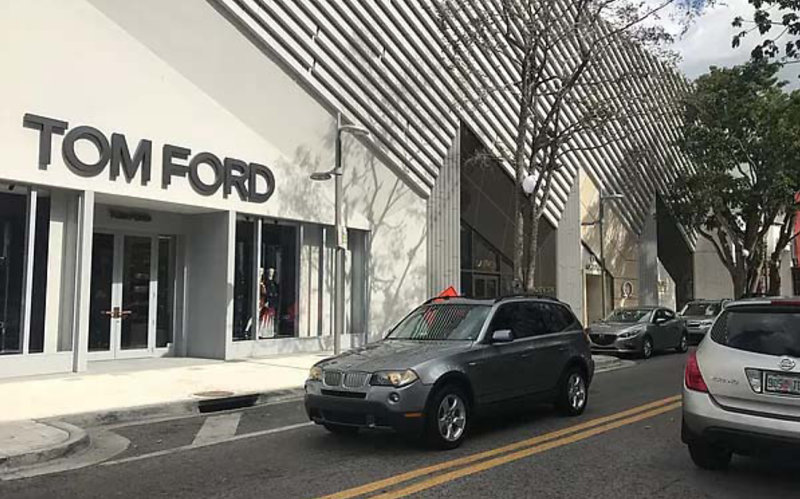 But it wasn’t until I returned to Miami and drove through the Design District that I considered the possible connection between these two coastal shopping meccas. 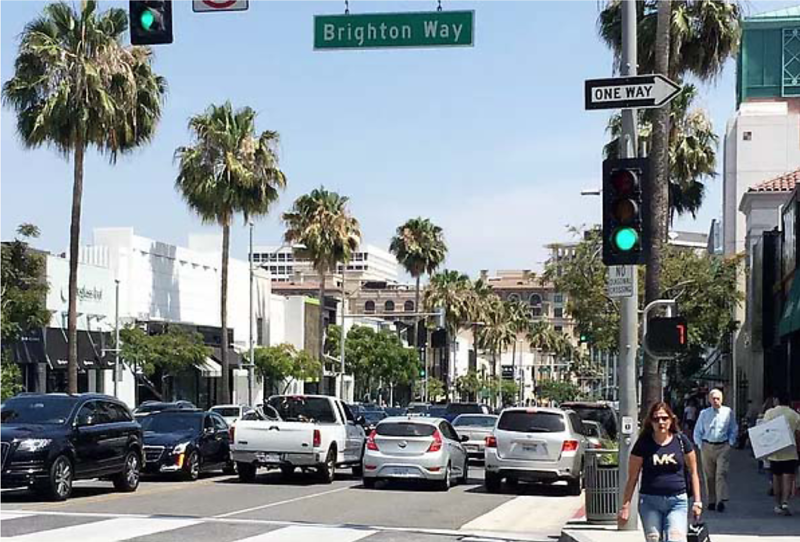 Could it be that the Design District was modeled after the famed Rodeo Drive? I believe the Design District is an even better version of the old school Beverly Hills. Here’s why. Let’s start with branding. 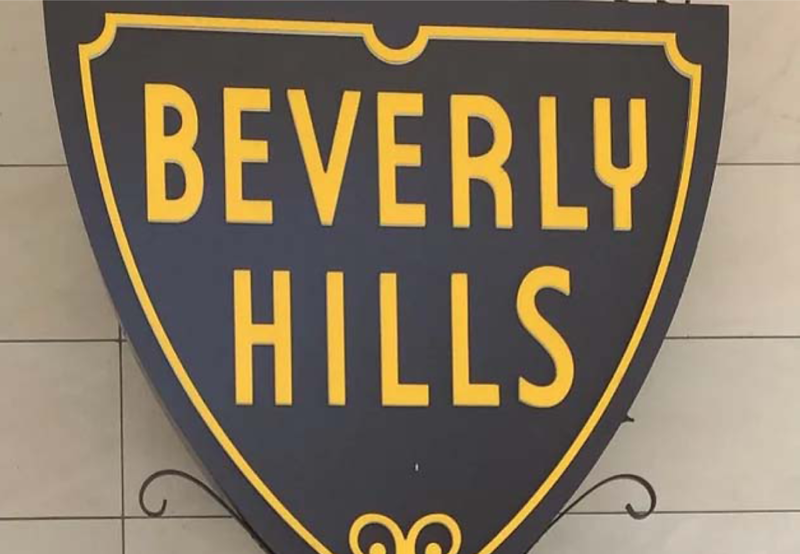 Beverly Hills’ brand is its name and its logo pictured above. Maybe some of you can remember those Camp Beverly Hills t-shirts that came out in the 80s? It started with the design pictured above. 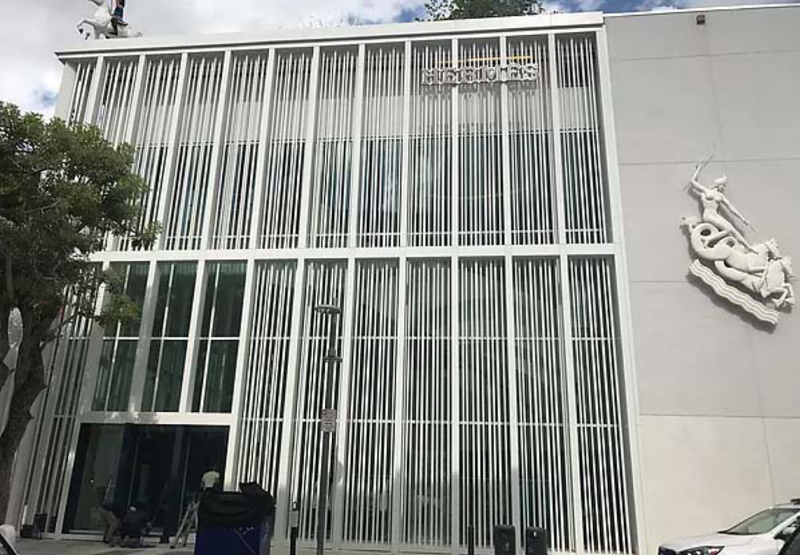 Now the Design District has similar branding to Beverly Hills, but takes it one step further by using iconic art pieces like this one pictured above. Buckminster Fuller’s 24 foot dwelling prototype, called Fly’s Eye Dome, reinforces the Miami Design District’s mission for home and fashion and it’s also really cool. 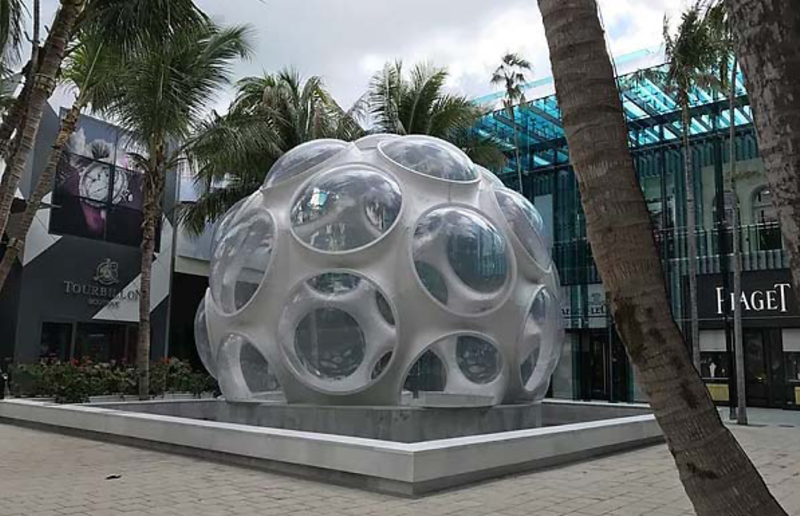 More than that, this geodome has become the symbol for the Miami Design District. …but the storefronts in the Design District are like jewelry boxes or a special gift. The wrapping is so beautiful that I can’t wait to open the door and see what’s inside.